Ready to get lost in the Smokies? No need to wander far off the trail. Simply explore the many marvelous mazes in the Gatlinburg-Pigeon Forge area – from traditional open-air corn mazes to high-tech mirror mazes. Every weekend from September 29 through October 29, Sevierville's historic Kyker Farms hosts a classic outdoor maze experience. Designed by ninth-generation farmers, the scenic five-acre attraction offers an assortment of challenging corn mazes, including one specially for tots. And that's just for starters. Kids of all ages can also enjoy hayrides, tunnel slides, straw crawls, Kyker's Korn Hopper (bouncing pillow), and much more. There's even an old-fashioned pumpkin patch, along with a kid-pleasing critter barn. Adults and older kids love zip-lining on the Bee Line, playing Zombie Blasterz paintball, browsing the family-friendly concession stands, and gathering 'round crackling bonfires in the cool, crisp evening air. 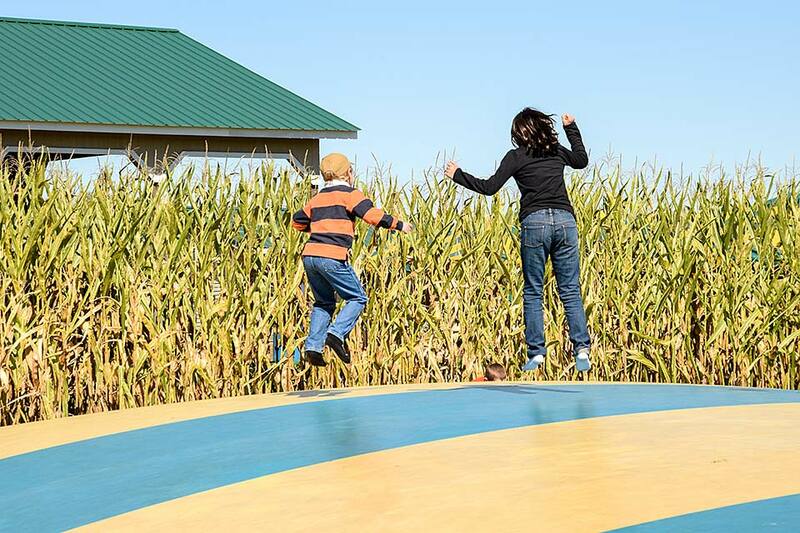 Set amid stunning mountain scenery, Kyker Farms Corn Maze is conveniently located 1.7 miles off TN Highway 66 / Winfield Dunn Parkway, just minutes from Pigeon Forge and Gatlinburg. Mirror, mirror, on the wall, where's the craziest maze of all? Head to Pigeon Forge and Gatlinburg to find out! At Hannah's Maze of Mirrors, you'll wander through a mirrored labyrinth to rescue Princess Hannah of Savannah from the evil witch Ugly Hetty. Surrounded by endless mirror images, you'll navigate 288 twists and turns to seek and save the trapped princess. It's an entertaining puzzle for the entire family, sure to test your ability to separate illusion from reality. Up for the challenge? Head to 106 Showplace Boulevard in Pigeon Forge. Looking for a slightly tougher brainteaser? 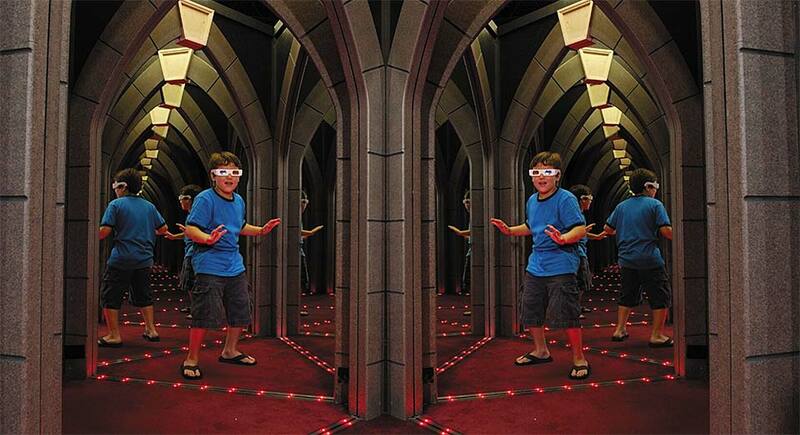 Check out the Island Mirror Maze at The Island in Pigeon Forge. Here you'll wander through seemingly endless corridors, where dazzling lights, fool-the-eye reflections, surprising turns, and sudden dead ends will keep you constantly guessing. Your goal? To trace the steps of two shipwrecked families and find the treasure they discovered long ago. Use your kaleidoscope glasses (supplied by The Island) to intensify the mind-bending experience.